Writing a review on a low budget phone can be somehow exhausting because you find out just a few people want to purchase a N19,000 naira smartphone in Nigeria. Yeah, I am serious! Nigerians love expensive phones, I do too. I am going to review the Fero Vibe, a new budget smartphone that has impressed mobile phone geeks. 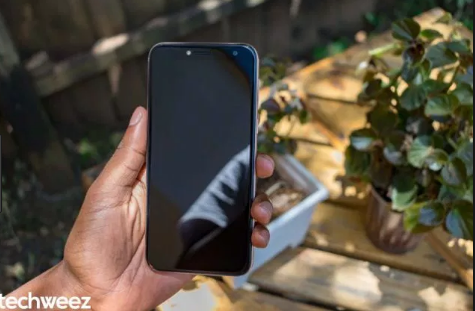 Sincerely, I am still at shock this smartphone could sell for N19,000, at least not with these great features I am about to highlight during this review. Little wonder did Saruni Maina of Techwez said: "It’s all in the name, Vibe by Fero. I call it the affordable phone with positive vibes." I was able to lay hands on the device, it got the Fero logo on its plastic back, but its front was more impressive with its bezel look. The device's back case is removable so that's how you slot in your memory card and SIM card. Fero Vibe's speaker is located at its back too. You will hardly notice its protruding camera if you do not have the device handy, but here is what got me thinking... the device has the facial recognition feature which can be used to lock and unlock the it. Fero Vibe comes with a 5.45″ 720p HD IPS display with an 18:9 aspect ratio. The attention to detail can be seen from the curved edges of the screen – something you never find with budget phones. The screen itself is stunning that it even astonished my colleagues who use phones priced in the upper tier. The device runs on the massive Android 8.1 Oreo Go edition with a UI fero calls 360 on it but I am certain you can still customize the device using any launcher you love. The phone comes with a SC7731E Quad-Core clocked at 1.3 GHz. Under the hood, you get 1GB RAM and 16GB of internal storage which you can expand using an external microSD. Well, I have never been a fan of camera on devices but Fero Vibe comes with an 8MP rear camera and a 5MP front camera with both packing an LED flash. The cameras are as standard as they come and this is where the real shortcuts start showing. The main camera comes with the usual modes such as Panorama and continuous shooting. There is also bokeh mode but don’t use it. Conclusively, I do not think you should purchase the Fero Vibe if you are the type that loves Gaming, long hours browsing, blogger or a camera freak. Its cheap yes, but for me, its not what I will recommend for users who multitask with their devices.